Palram Rion Sun Room 6 x 8: is the simple, affordable and versatile way of expanding your living space or creating a walk-in Growing area. 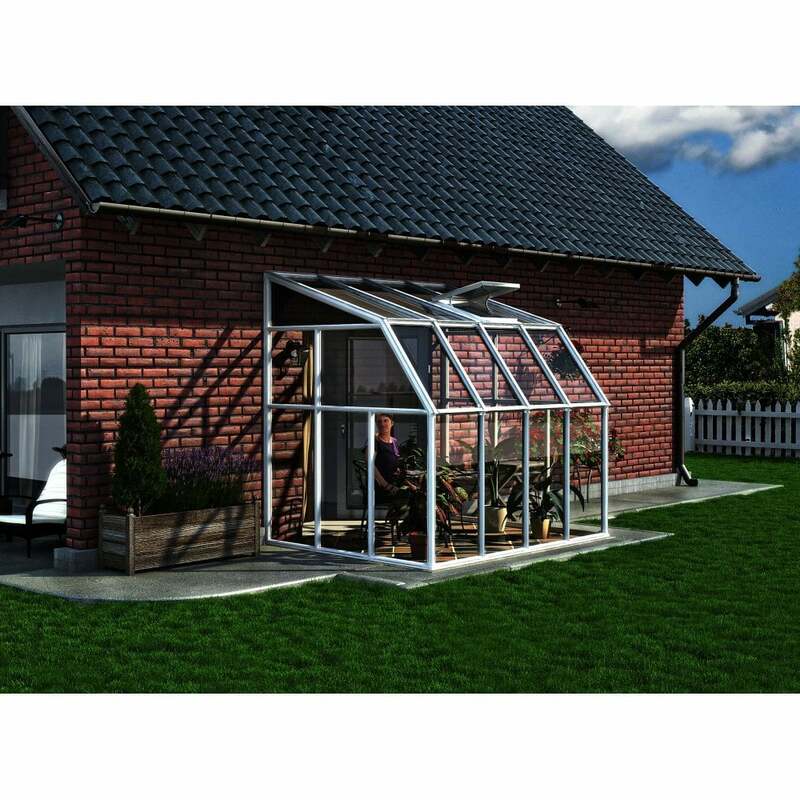 Constructed out of strong Extruded PVC resin & Aluminium, the Sun Room range is easy to assemble with no tools required, and can be extended too should you need more room.The roof features aluminium strips which help to keep to keep the PVC resin from distorting in sunshine. Add to this a great range of accessories (click here for the brochure) and you have an incredibly capable and well made product at a superb price.